My work has been inspired by natural forms, primarily seed pods and I have created a body of work based on pod like structures. 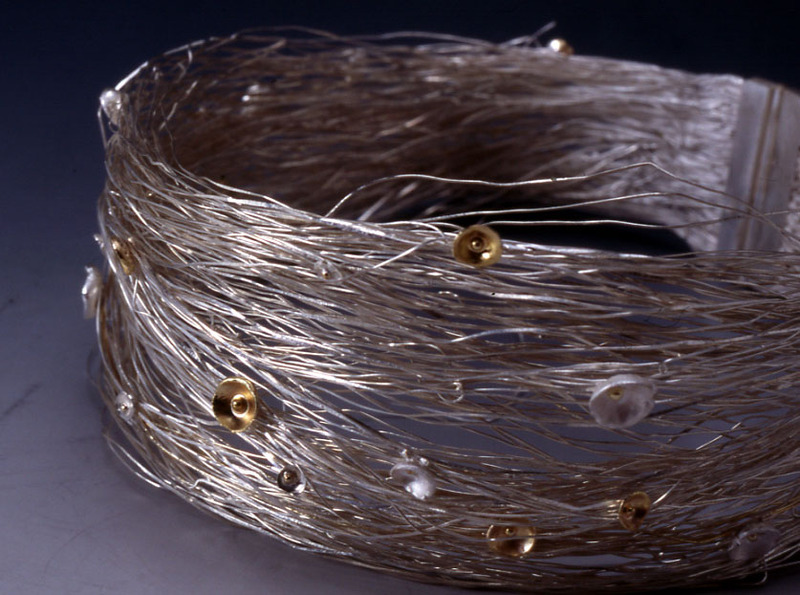 I use silver, 18ct gold and silk paper to create my jewellery, which is constructed from individual acorn cup units assembled to create both large and small scale pieces of jewellery. I make the acorn cups individually from reticulated and formed silver and 18ct gold disks and moulded silk paper. Using fine silver and the technique of raising I have created a selection of pod vessels. The vessels are constructed to be free standing and off centre, giving them a fluid natural quality. I have created silk paper models that are viewed and exhibited alongside their silver counterparts.